Hello to another terrifying week in the world, courtesy of Donald Trump. But, that’s a topic for another forum. Still, one hardly knows what to expect next from this man; nor, from the weather this summer. Now, that’s a bad segue. I recognise that but it’s a way of saying we may be in for intermittent rain tomorrow morning. The forecasts give different accounts of when to expect the rain. That being said, unlike last Saturday, I’ll be at Stinsons for a 7:30 am start. We can make a collective decision at that time, given my poor record of making the right call. I’m already paying the price for some questionable route planning. 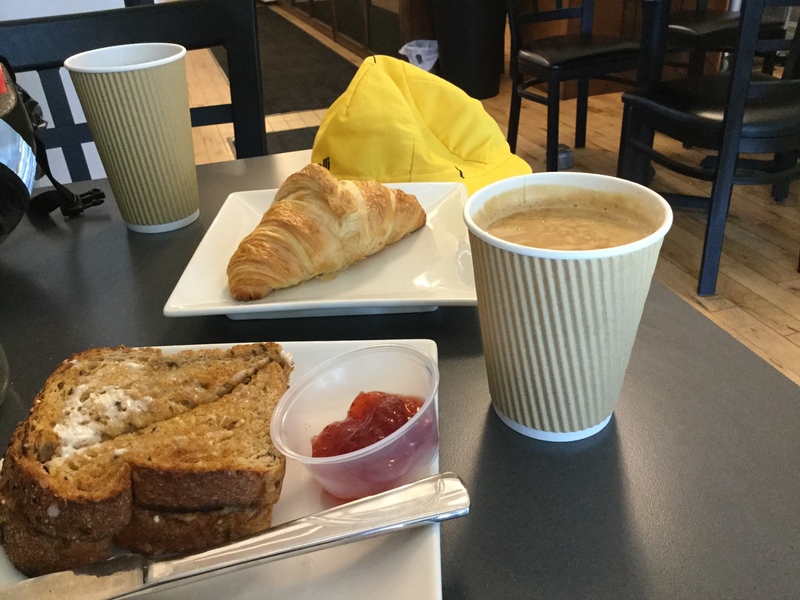 Meet at Stinsons on White Lake Rd for 7:30 am 7:30 am start and ride to Neat Cafe (bring gold for coffee). Route via W-L Rd to Conc 10, Barr Side Rd, Waba Rd to Kippen, Stewartville, #508 to Neat (Km 45); home via White Lake for a total distance of 66 kms and 432 Metres. All this in preparation for the (100 Km, 1000 Metre) TdB on Sunday from Eganville. This route is mostly flat with no big climbs, just some steady grinds and a couple of short steep inclines. When the alarm rings in the morning, you’ll be asking yourself, “Where else would I rather be?” than on my bike. “Better get up and out of here now”, you’ll say. Weather: 18 – 22 C, full cloud; POP 40%; winds SW 15.